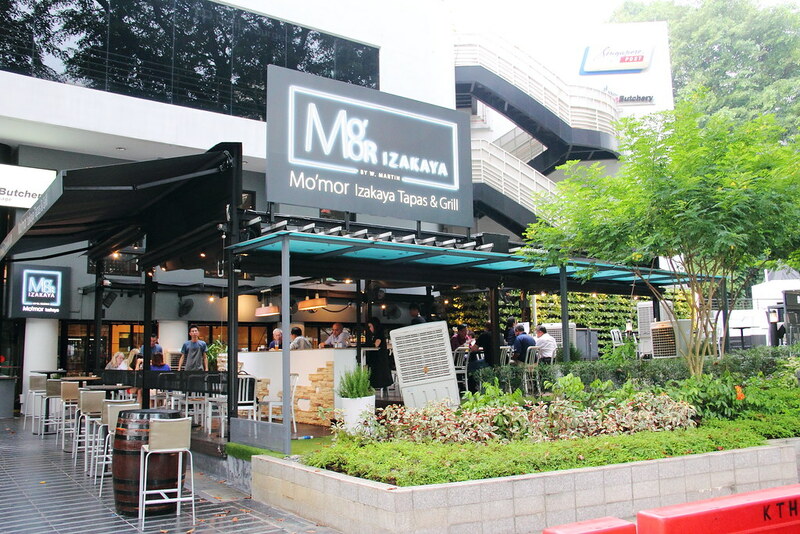 Located at the junction of Tanglin Road and Napier Road is Mo'mor Izakaya Tapas & Grill, a new member in the neighbourhood. The brain child of the concept is non other than industry veteran Chef Martin Woo. The contemporary Izakaya place offers an exquisite gourmet experience which is inspired by Japanese-European charm. We started our dinner from the Tapas menu with some light snack bite in the Edamame Beans ($6) while waiting for the rest of the group to arrive. 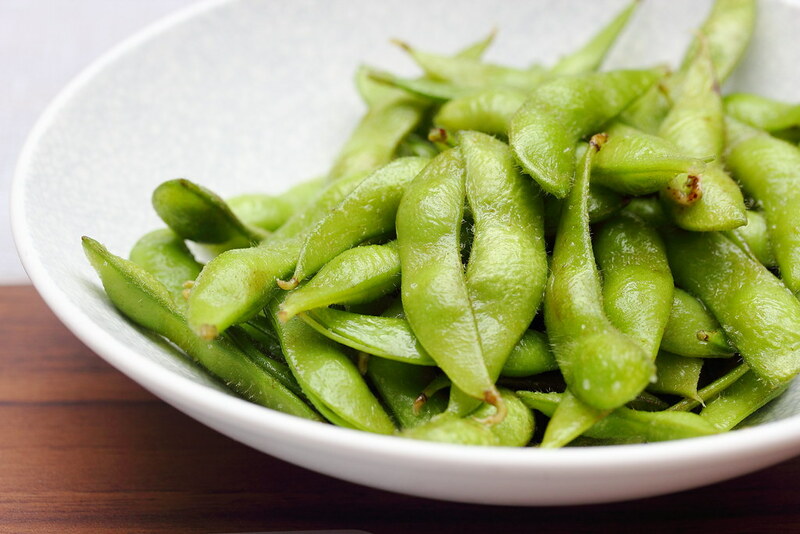 The steamed edamame is lightly seasoned with seasalt for the full appreciation of its natural flavour. Once the group arrived, we kick started our dinner with the Botan Ebi Sashimi ($28). 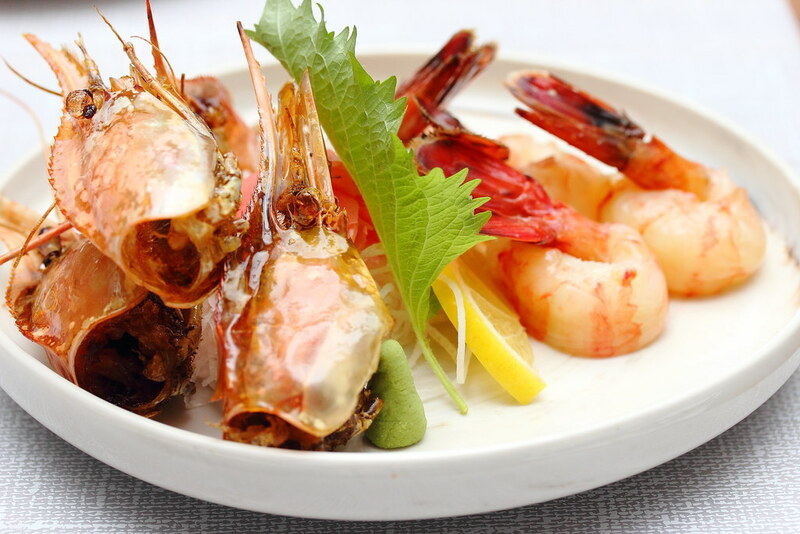 The fresh and huge prawn eaten raw is extremely sweet on top of its crunchy texture. You can also dip with the shoyu and wasabi for a rounder enjoyment. 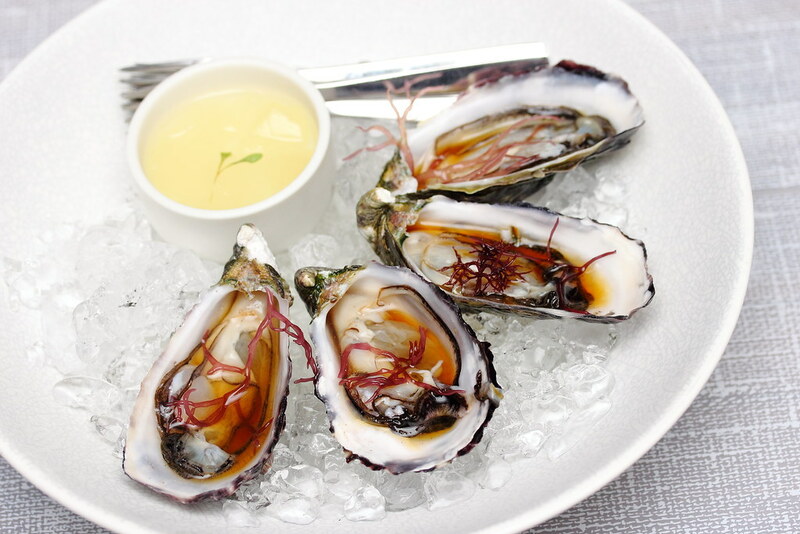 Minimum order of 3 pieces, the Oyster ($5.50/pc) is served with a citrus jelly which is an interesting substitution of the usual lemon. The creaminess of the oyster and the zest from the citrus jelly worked harmoniously for a well balanced goodness. 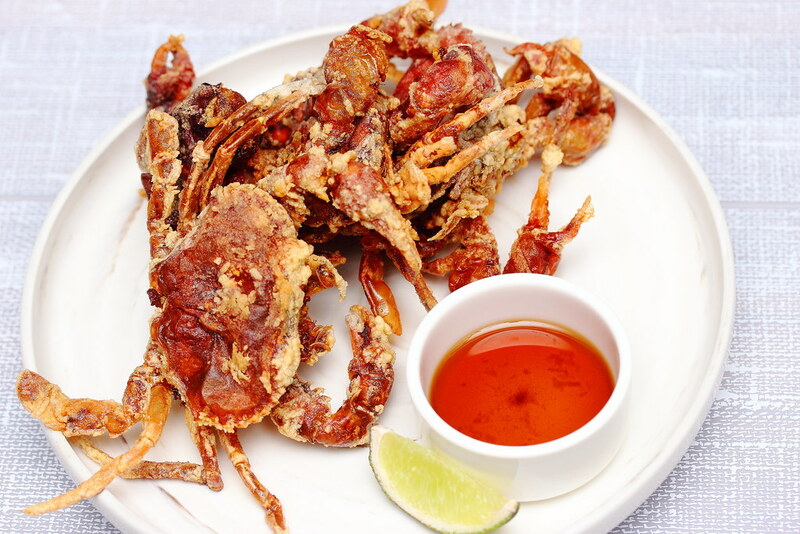 The crispiness of the Soft Shell Crab ($12) with its natural sweetness, may looked simple but works wonderful on the palate with a dash of the lemon and a dip of the tempura sauce. 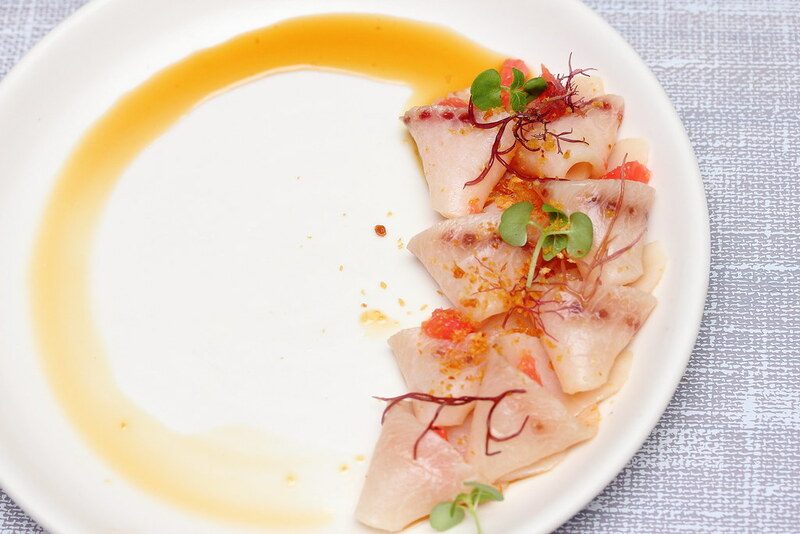 The other raw item we tried on the tapas menu is the Sword Fish Belly ($15). 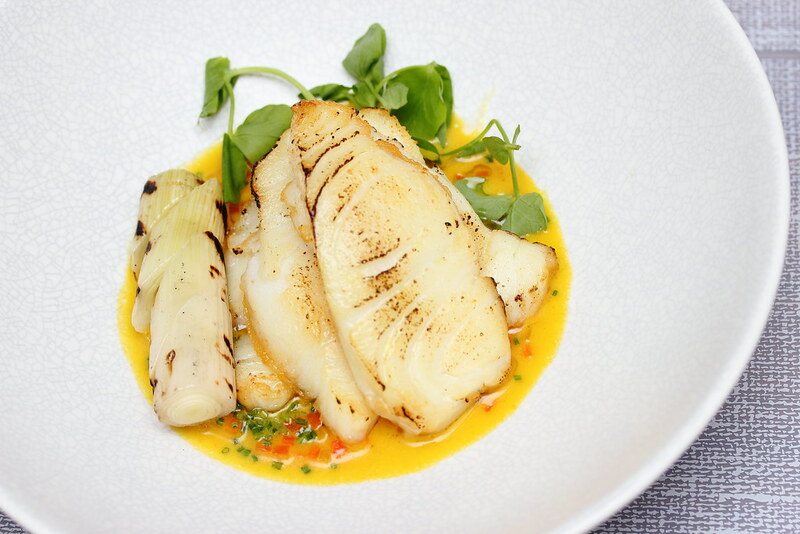 The clean taste of the sword fish is further elevated by the accompanying ponzu sauce, grape fruit and garlic chips. The plump charcoal grilled Hokaido Scallop ($24) is topped with ikura for a contrasting saltiness to balance the sweetness of the scallop. 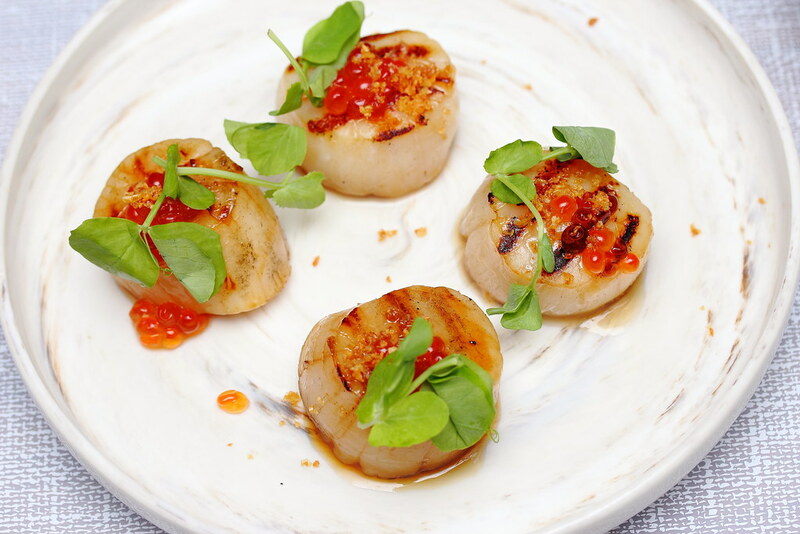 Unfortunately the scallop did not have that grilled aroma or sweetness, hence the ikura sort of throw the balance off. 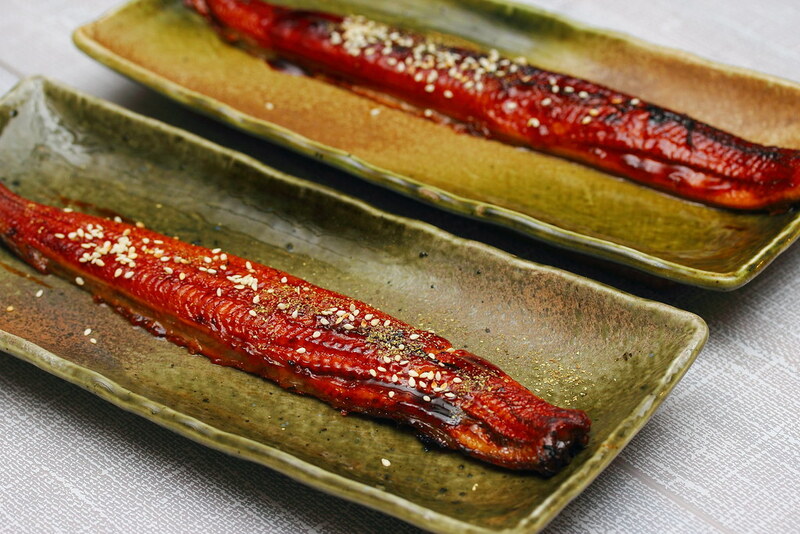 I marination sauce for the Unagi ($22) is usually on the sweet side but the execution here is nicely balanced with the used of sesame seed and sansho pepper. 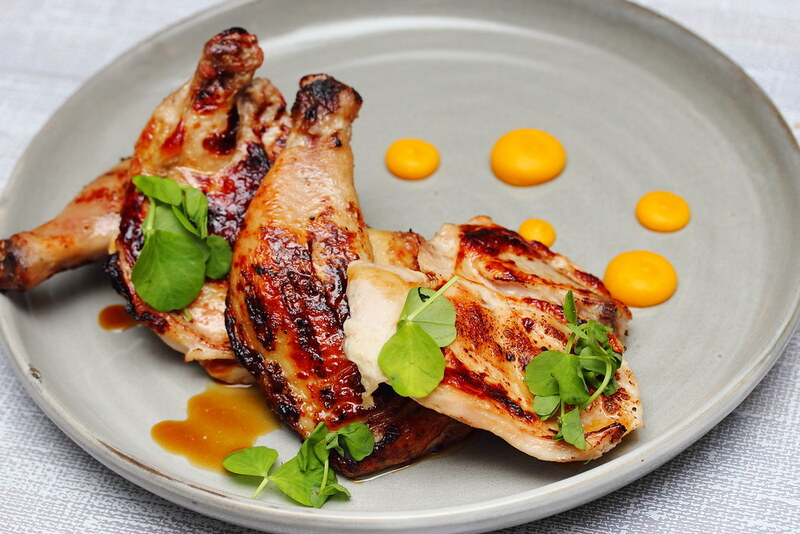 Moving on from the tapas to the mains, we tried the Saikyo Miso Chicken ($22) with natural jus and pumpkin puree. I don't like the texture of the chicken, it was kind of mushy. The flavour was also a bit one dimensional. It felt that something is missing in the dish, probably needed more of the pumpkin puree or sauce to complete the whole dish. Cod Fish ($34) is usually known for its fatty and buttery sweet flavour but then the char grilled cod fish tasted bland. In fact, there was even a hint of burnt taste to it. I am not sure whether it is due to the fact that the kitchen sliced up the fillet, not allowing it to lock the essence within the fillet. 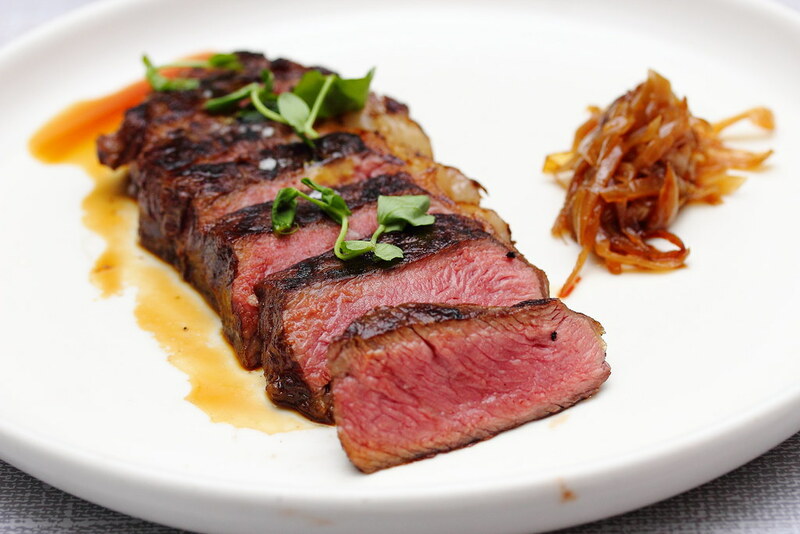 The Black Angus Ribeye ($38) is dressed in a natural jus and paired with onion confit. The beef itself was cooked to beautiful pink sealing the lovely flavour in it. Unfortunately the beef itself was a bit tough to chew which actually was a bit puzzling to me. I thought the sides we ordered, the Hasselback Potato ($9) and Shredded Cabbage ($6) fares much better than the steak. 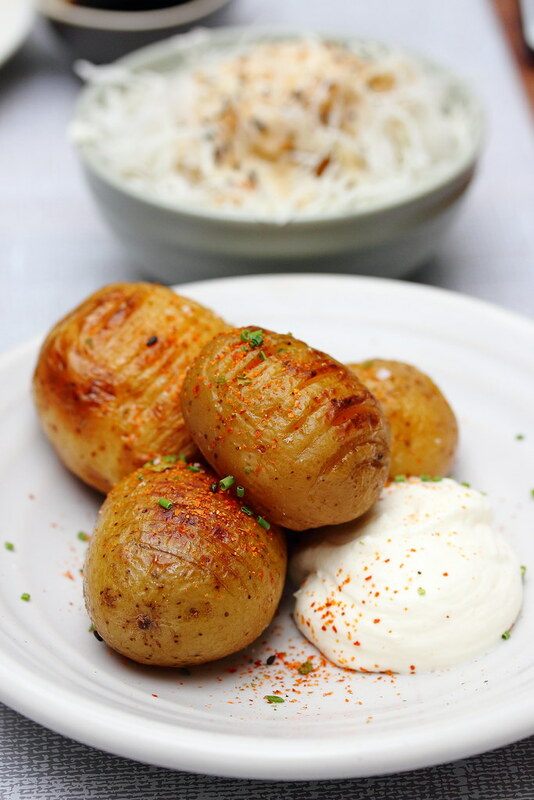 The hasselback potato is paired with sour cream and topped with chives. The refreshng shredded cabbge is dressed in a goma sauce for a delectable touch. Wrapping up the dinner at Mo'mor Izakaya is the Melon Gazpacho ($12). 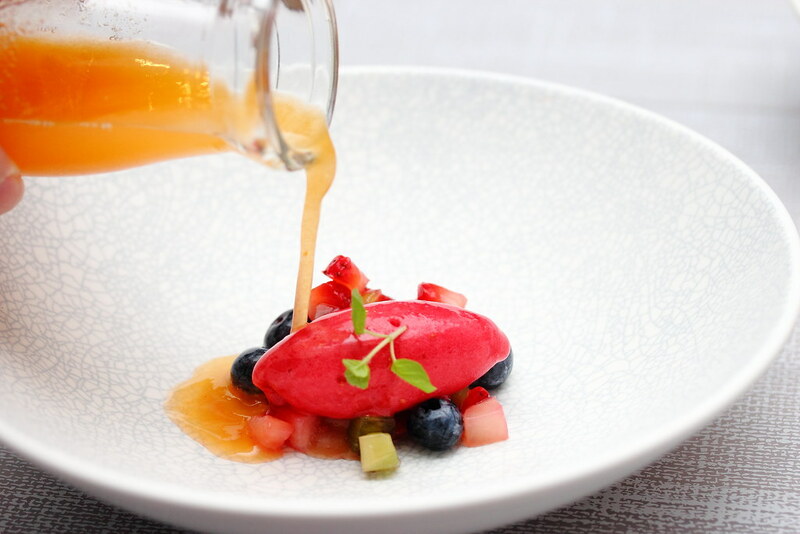 Served in a bottle, the melon gazpacho is poured onto the plate to be enjoyed together with the raspberry sorbet and berries salsa. Overall, Mo'mor does not feel like a Izakaya place at all. Many of the dishes are very Japanese inspired but served in tapas style. During my visit, our group finds that the tapas menu fares better than the mains. It is quite telling that the mains which needed more cooking is missing the refinement to complete a good dish. The kitchen needs to buck up or it may start losing its customers.